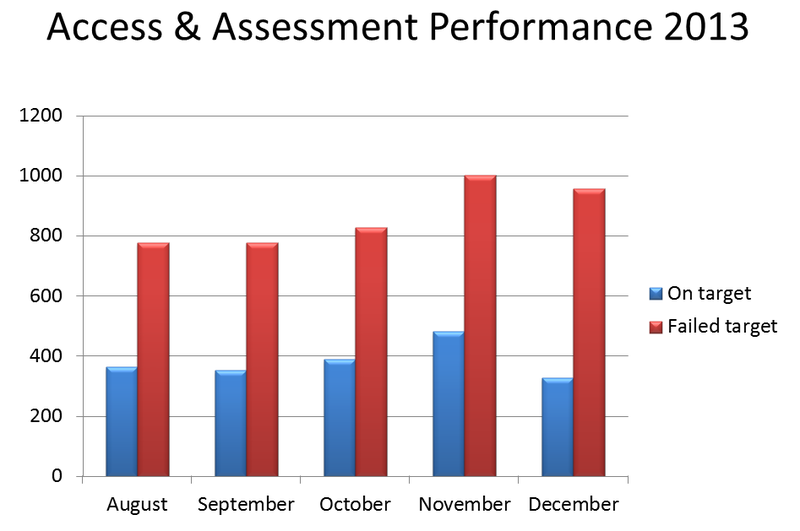 The centrepiece of the ‘radical redesign’, the Access & Assessment Team (AAT) consistently failed, month after month, to meet its performance targets for two out of every three assessments in 2013. Many people who were referred in January of this year are receiving phone calls now, in April, three months later. Access & Assessment delivers no treatment and rarely even a diagnosis despite costing nearly £4 million per year and running more than £600,000 over budget across Norfolk & Suffolk. It isn’t the fault of the overburdened and stressed staff who work in the AATs, it is the ‘radical redesign’ which is at fault. The NSFT Board refuses to admit its mistake. Pride comes before a fall.